The Clark Fork River is one of the longest stretches of water in Montana, providing Missoula visitors with nearby sections for fishing, rafting and stream-side recreation within Lolo National Forest. MRG has lots of options for floating the Clark Fork around Missoula. From whitewater options west of town, to in-town SUP, kayak and scenic float choices. What works for you? When you are booking a fishing vacation you want to make sure you are in the thick of the action. 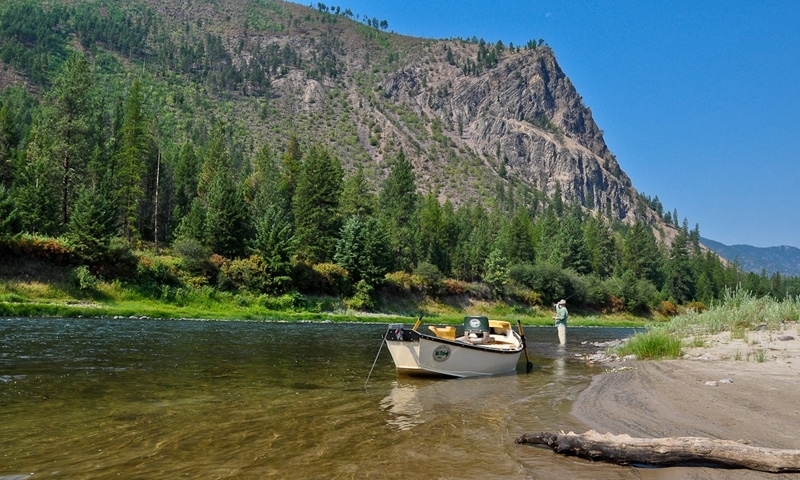 Fly Fishing Always tours on the Bitteroot River in Montana will take you to the prime locations ensuring a satisfied fisherman every time out. Featuring fishing adventures for both young and old. Catch the fish of your dreams with High Plains Drifter! No matter what the gear, Kingfisher Fly Shop has items for all fishing needs. View hours online and plan for your trip today! The Clark Fork flows for 360 miles between Montana and Idaho. Fish for large browns, rainbows and cutthroat trout. Raft the whitewater in Alberton Gorge. Near Missoula, the Clark Fork flows through Lolo National Forest. The river is named after explorer William Clark, of the famous Lewis and Clark duo. The Clark Fork is an extensive river that flows 360 miles in between Silver Bow Creek, in southwestern Montana, and Pend Oreille Lake, in northern Idaho. As it flows, the Clark Fork receives other streams and tributaries including the Little Blackfoot (near Deer Lodge), the Blackfoot (5 miles east of Missoula), Rock Creek, and the Bitterroot, Flathead, St. Regis, and Thompson Rivers. 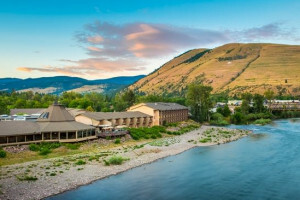 With so much accumulated water, the Clark Fork is known as an excellent fishery and a popular river for floating and rafting. Near Missoula, a large stretch of river intersects Lolo National Forest. From Missoula, the river can be reached by traveling east and west on Interstate-90 and east on MT-200. The Clark Fork is a popular Montana fishery due to its vast length, its number of fishable species, and the amount of water it accumulates. Trout species include browns, rainbows, and westslope cutthroat. Other species include bass, northern pike, perch, and mountain whitefish. In general, Clark Fork fishing is most productive from its origins to its confluence with the Flathead River, which includes stretches in and around Missoula. By the time it reaches Missoula, it’s a big river – if you enjoy skinnier water, don’t fish below town. 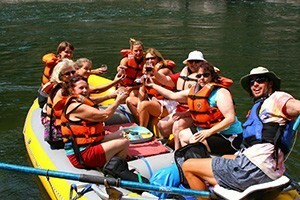 Book a float trip with local outfitters for a great day on the water. In general, the further west the Clark Fork flows, the larger and faster the water. Small kayaks, tubes and canoes are recommended for stretches east of Missoula; west of town drift boats and larger rafts and tubes have more room to maneuver thanks to the Clark Fork’s confluence with Rock Creek and the Blackfoot River. 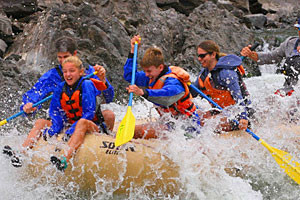 35 miles below Missoula is a popular whitewater rafting section known as Alberton Gorge. Depending on the flows, waters over this 16-mile stretch can reach Class IV difficulty. Beyond this section, the Clark Fork eventually merges with the St. Regis River and provides some very scenic floating. Ready to dry out those wet clothes? 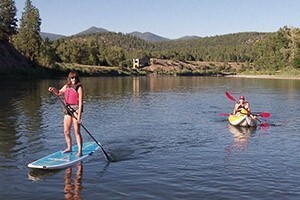 Stay at one of several developed campgrounds along the Clark Fork and within Lolo National Forest and swap your water shoes for hiking boots. Hundreds of miles of trails will take you through gorgeous alpine scenery with vistas overlooking the river valley. Be sure to pack a camera as abundant big and small game species, birds, and wildflowers are found in the forest and surrounding mountain ranges. The river is named after William Clark, of Lewis and Clark, and was explored by the two famous adventurers in the year 1806, as they were making their return journey from the Pacific Ocean.